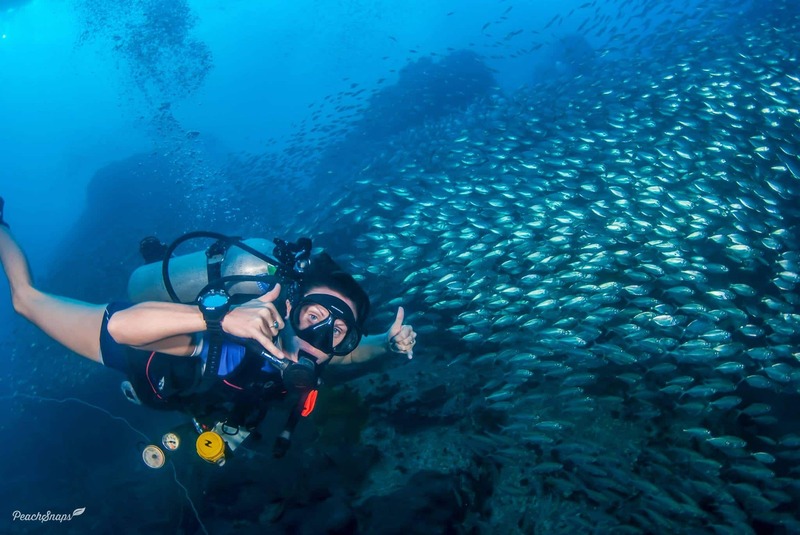 With the right training becoming a scuba diving instructor is not very hard, but becoming a successful instructor can be challenging, especially in places where the dive industry can be quite competitive. The most popular places in the world to learn scuba diving also attract the most amounts of instructors looking to find work. Being able to stand out is the best way to not only get but also to keep a successful job as an instructor. Here are my top tips to help you to become a truly successful scuba diving instructor. Nearly all the successful scuba diving instructors in the world have one main thing in common. They have a fantastic, positive attitude. Successful dive instructors are usually very nice people that truly care about their students. However, some instructors are only just nice to their students, while others are just passionate about scuba diving and others are just very good liars and pretend they have a great attitude! When you look at the most successful instructors they have a great attitude across all their teaching attributes. They are passionate, caring, have a great sense of humor, is very patient, polite and much more besides. Read on for more tips on how to improve your dive instructor attitude often expanding on this crucial idea of great attitude. Some people say: “Wow look at that scuba instructor, he teaches so naturally; I love to listen to them” – This usually means that this instructor is totally passionate about what he or she is teaching. Anyone can teach a subject very well if they are passionate about it. Some people have a passion for Physics or Maths and will be great at teaching it, but for a lot of people, this might not be the most exciting subject. Luckily for us scuba diving instructors, we are teaching one of the most beautiful and exciting topics in the world, making it a lot easier to show natural passion. We teach people not only to scuba dive safely but also to enjoy learning about countless marine species. 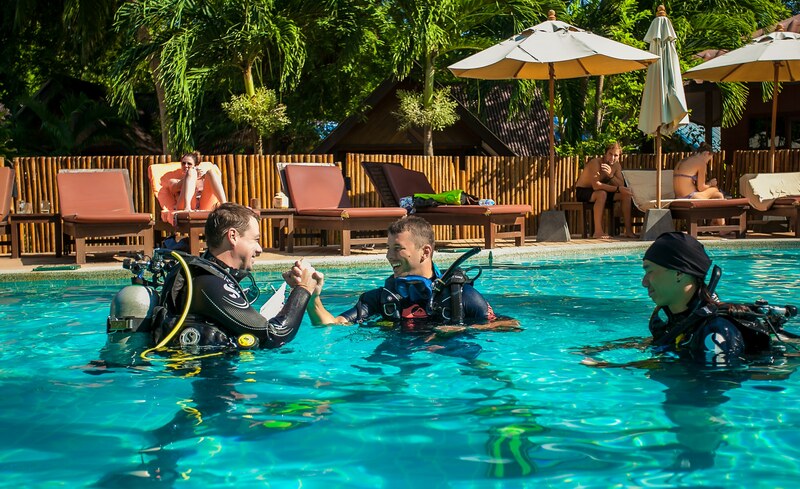 Some of the most successful instructors can talk forever about scuba diving and marine life. Throwing in a joke now and again can really help you on the road to becoming a more successful dive instructor. 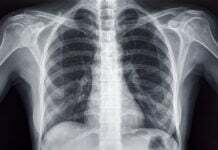 Scuba diving is a safe sport but accidents can happen if the activity is not taken seriously. However, some instructors take it all too far and treat their students like they are army cadets. Recreational Scuba Diving is there to be enjoyed by almost anyone from anywhere on Earth. Whilst it is very important to focus on safety, we can also lighten the mood by cracking a joke or two, especially because making people smile eases any nerves they may have. Also, people that laugh at your jokes usually like you more; and people who like you more leave better reviews online and hopefully want to continue with you on the next diving course! This is really where I see a difference in the quality of scuba instructors. A successful instructor truly cares about his or her students. Some scuba diving instructors try to fake caring about their students, but this does not make them successful. People feel it instinctively if you care about them or not. Scuba diving can (especially in the beginning) be a stressful experience for some people and most of them will find this out during the confined water session. I love seeing great diving instructors take all the time necessary to help their students get over their fears. A successful dive instructor will always look their students in the eyes, smile and do anything possible to turn them into great scuba divers. Successful instructors truly care and take pride in their work. Teaching scuba diving sometimes takes a lot of patience, especially with students who don’t have a lot of previous in-water experience. As we know, some people find scuba diving to be stressful at the beginning. And of course, we humans are not supposed to be underwater anyway. For some people it can be quite hard to even get their breathing under control, never mind performing all the necessary skills. That said, for many people, scuba diving comes naturally and there are a lot of instructors that have never experienced any difficulty with scuba diving themselves. 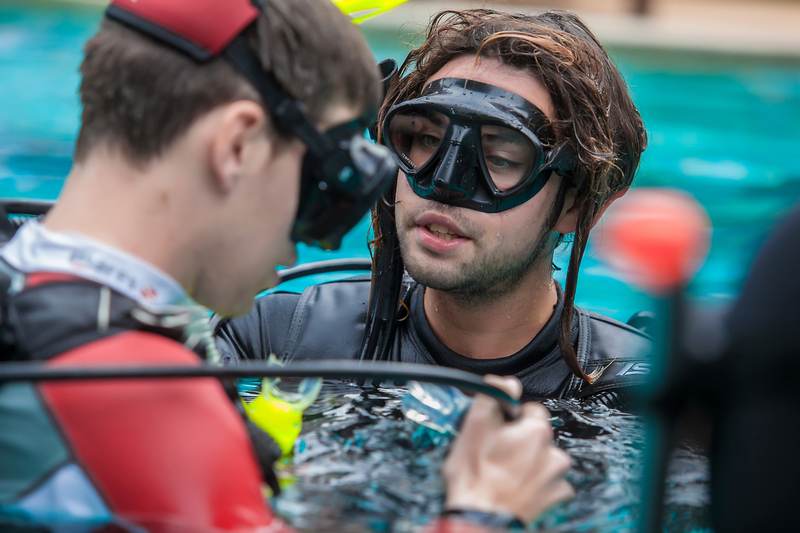 For these scuba instructors, it can be hard for them to understand their student’s fear and often that is reflected by how much patience they have when teaching them. The most famous example of when it all breaks down is during any one of the mask skills where the students are learning how to clear water from inside their masks whilst underwater. Some instructors will send their students home after 2 or 3 failed attempts, while the successful dive instructors will keep trying over and over again to help their students succeed with these skills. I have seen some of the best scuba instructors teach their students who are having difficulty clearing their masks (or any other skill) after class, privately and without extra pay in order to keep them in the group and turn them into great scuba divers. I believe that the most important part of an instructor’s job is to keep their students safe. There are risks involved in scuba diving and accidents have happened in the past. Risk Management should be the number one most important concern of scuba diving instructors. Successful instructors are usually very safety-minded and put a lot of effort into proper risk assessment when they teach scuba diving. You can be the best, funniest, most passionate, caring, charismatic and business-minded person in the world, but that means nothing if you are an unsafe scuba diving instructor. If you really want to become more successful, try to re-evaluate how you teach and conduct all of the in-water activities of any diving course you teach. For example: Do you put sunglasses on a student’s face during the mask removal and replacement skill? Do you do Kung fu fighting and acrobatic tricks underwater with no fins on? Do you do summersault “James Bond” entries off big boats? Do you swim too fast to find the next turtle? Do you push people too close to the coral to see a moray eel? Do you go through swim-throughs full of marine life? Many dive instructors should be asking themselves these and many other questions. Even a small mistake can cause injury, remember no one ever signed up for a diving course to do any of the activities listed above… People just want to see a fish and learn how to dive safely. Clearly, the most successful scuba instructors will do anything to ensure the safety of their students, especially by staying away from unnecessary activities that have a higher risk element to them. I also know what you are thinking now… “Aw c’mon I take them through a swim-through sometimes and no-one ever gets hurt”, but ask yourself this… what will happen on their next fun dive when there is a swim-through and you are not there? They will most likely go inside as you did during the diving course and now it turns out to be a cave, with current and cornered, potentially dangerous, marine life…In the hope of ensuring their student’s safety well into the future, really good and successful diving instructors think many more steps ahead than just those steps in their courses. Being a diving instructor is a fantastic job and maybe even one of the best jobs available. Imagine living and working in some of the most beautiful places in the world, experiencing the “holiday that never ends” and being able to enjoy some of the most amazing marine life around…all while getting paid for it! – Isn’t that the perfect life? As much as this sounds fantastic you have to realize that it is still a job. If you want to be a successful dive instructor then you should view it as a career and, just as in every career, you need to work hard and try to be the best in order to climb that ladder of success. Too many people become a scuba instructor so they can just play on the beach, go partying every night and do a diving course once and a while. Then at the end of the month, they complain that they didn’t earn enough money…of course, they didn’t, they didn’t work enough and they spent what they did get paid every night in the bars. Successful instructors work hard, are available every day to teach, are always on time, never say no to any course, are always smiling and never complain. This doesn’t mean that successful dive instructors don’t have a good time, quite the opposite. They also get to enjoy the beach and have a party, just not every day. Yes, dive instructors will often have a day off at the beach after the party – it is a dream job, but it’s still a job. In many of the dive locations, I have visited around the world I have regularly seen diving instructors “just” do their jobs. They wake up, go to the dive shop, meet their students, smile, teach what they have to teach and go home and repeat it the next day. There is nothing wrong with this, especially if you stay within your diving organization teaching standards…you are doing your job. 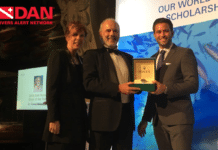 But if you really want to become more successful as a scuba instructor then you should think outside the box and try to create more business and success for the dive school you work for. For example, you can maybe help in improving their website, create a blog for them, try to promote more specialties, set up at kids program, help with online marketing, create a YouTube channel, set up conservation programs and so much more – Successful instructors think outside the box. Like I said above, working in the dive industry is a dream job, but it is still a job. This means that you are usually working for a dive shop owner who has invested a lot of money into his or her company and of course they want that money back with a profit. It is like any other business, it is still a business. To make more money for the owner and for yourself you can promote the next continuing education course to your students or sell them some dive equipment. A lot of customers and instructors see this selling as a negative thing – I don’t agree with that – and that is where the problem lies. 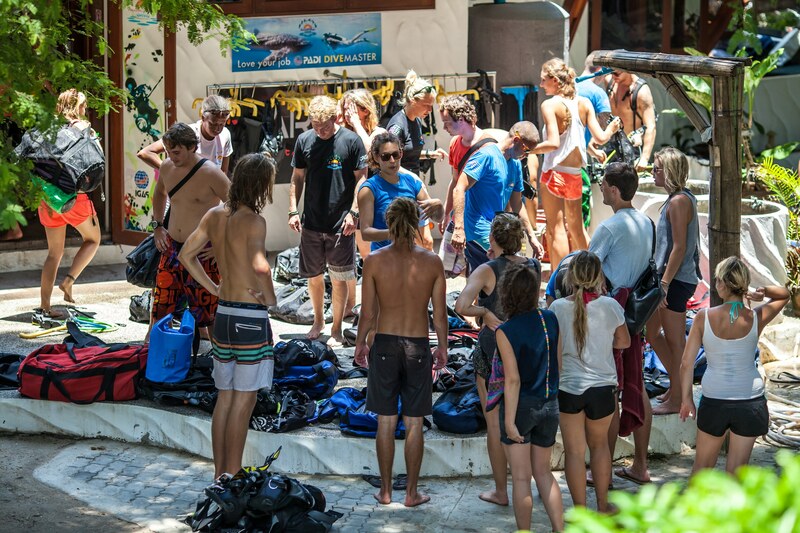 Selling your students another diving course sounds bad and pushy, but it doesn’t have to be. It all depends on how you sell and promote it. I could write for days on this topic, but one of the main tips I can give you is not to “sell” and never think about the money. Just talk to your students truthfully about how great, fun and beneficial the next course will be for them. Share all your passion with them and trust me, most people will sign up. The same advice goes for the diving equipment. Don’t try to sell your students the most expensive mask to get the most commission. Help them to select the best mask or other equipment for them. They will thank you for it especially after diving with it. Honesty is key here. Don’t forget that people work very hard back home and would love to spend their hard earned money on something they enjoy doing during their holiday. What could be better than spending it on an amazing experience underwater while being able to enjoy it more with their brand new and perfectly fitting mask?  Some of the most successful dive instructors have some of the highest continuing education ratios and equipment sales amongst their peers. 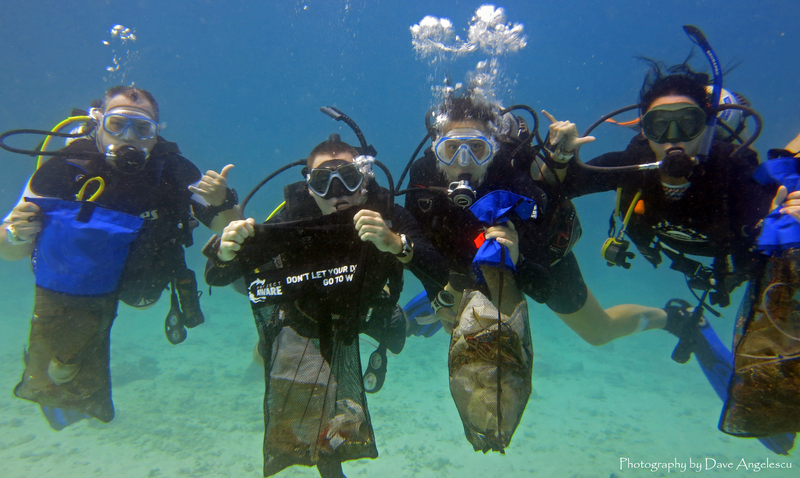 Being able to teach in exotic places on beautiful reefs is fantastic so we do need to keep those reefs beautiful for everyone; nobody wants to go on holiday to a place with dirty beaches. If you want to be a successful scuba instructor then you need to take care of your “office” and sadly enough not all instructors do that. Tourists are good for business, but it also creates a lot more stress on the environment that we work in. 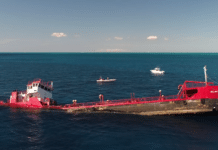 I see a lot of successful instructors taking really good care of the environment, organizing beach and reef clean-ups, giving eco-conservation lectures, reducing the use of plastic bags, plastic straws, cups and bottles, helping to create new artificial reefs and so much more. And on top of all that extra work for the environment, they also do all the other things explained above. Of course, dive shop owners also love to see you put extra time in conservation and your students will admire you for it. It’s a win-win situation where putting time and effort into marine conservation helps the dive shop, the owner, your students and fun divers, the area you work in and most importantly all the marine life that you care so much about – Some of the best and caring eco-warriors are also some of the most successful diving instructors. There are a lot of instructors in the dive industry and there are more and more interested in dive instructing every day. This sadly enough can sometimes create a bit of jealousy between instructors, and complaints that there is not enough work in the dive industry. Well, I’m sorry but this is just not true. There are so many dive centers, resort schools, and shops that are begging for good instructors and who pay a good salary. But they want to hire good instructors and not people that complain all the time, show up to work late, don’t promote more business or care about the environment or have a bad attitude. If you find yourself struggling to get work or keep work, then try to look at some of the tips above and see if you can improve the way you work as a dive instructor. Of course, if you are already giving 5000% and still don’t succeed as a scuba instructor then it is probably time to switch dive centers or location as, whilst you may be fantastic, you do need a great dive center that appreciates and rewards you. Don’t forget, it is also true that not all dive centers are perfect. I truly hope that these tips will make you a more successful instructor. 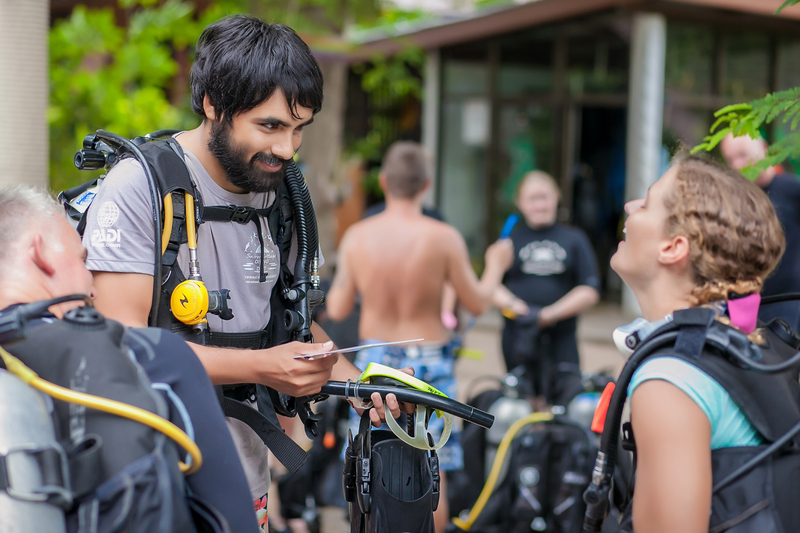 During the PADI IDC course, I teach at Sairee Cottage Diving on Koh Tao, Thailand I give extra lectures and go into much more detail about how you become one of the most successful instructors out there. Please contact me if you would like to join our IDC course and please leave your comments below and share your opinions about becoming a more successful scuba diving instructor. Marcel van den Berg is a PADI Platinum Course Director with Sairee Cottage Diving based in Koh Tao, Thailand"My Passion is to teach the new generation to be the best, have great attitudes and focussing on marine conservation, risk management and standards"
I like how you mention that becoming a scuba diving instructor should have you be caring about the students in your care. Regardless if they’re just travelers coming in for a summer trip, or are also there to learn how to become their own certified scuba divers, treating their students as equals and helping them get over their fears of getting into the water the first time. Another thing to consider is that you should have a lot of patience, as not everyone learns at the same pace as you. There are and will be students who learn quicker, and some would learn much slower, so it’s all a matter of taking this in stride and being accommodating to all of them. While I haven’t gotten a certificate in scuba diving, at least I know what to keep in mind should I ever make the decision to become a scuba diving instructor.